Forbo Flooring Systems have an extensive range of products in their portfolio, ranging from Marmoleum, and Safety Vinyls to Carpet tiles and Bulletin Board and includes, Flotex, Coral and Furniture Linoleum. Coral Entrance Matting have a number of products available, which enables them to protect your floors, wherever the installation. They also produce a tile based product, which helps reduce waste with the same protection. With an in house design cutting facility, J.De-Bruyn can offer you the ability to have designs and borders cut to your requirements, from any of the products available in the Forbo Marmoleum Ranges to allow you to create a floor perfect to suit you. With the ability to mix and match colours from different ranges, we are sure you will be able to design a custom pattern that suits you. We have a comprehensive product offer for commercial, public sector and residential interiors, including linoleum, project vinyl,carpet tiles, flocked flooring and fully integrated entrance systems. With a range of subfloor systems, Eurocol and floor care products to complete this extensive and versatile portfolio. Forbo Flooring Systems can deliver “total solutions” for every project, assuring quality and accountability from a single supplier. Take a fascinating look into a world of colour and design. Created to complement and enhance the interiors of today’s and tomorrow’s buildings. Forbo’s Marmoleum stands for versatility, sustainability and durability. It combines ecological and economic values that help bring modern and contemporary architecture to life. 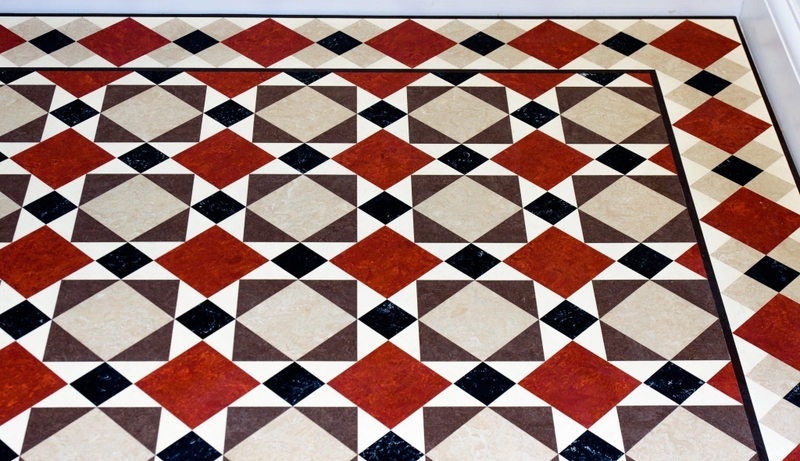 Entrance flooring systems have a critical safety role to play. Slips, trips and falls made up more than half of all reported major injuries in 2010/2011 (source: RIDDOR) causing suffering and financial loss for individuals, companies and society at large. Wet and dry soiling can both create slip hazards, but by taking sensible decisions over flooring surfaces and installing effective entrance matting, the potential for slipping can be dramatically reduced. Forbo’s high performance Coral entrance systems have been helping to provide clean and safe environments in every type of public and commercial building for decades which is why they are the market leader. Do you slow down or stop to wipe your feet when you walk into an office, shopping centre or other public space? Chances are you don’t. Most of us just stride on in, which is why it’s important to install an entrance flooring product to keep the world outside, outside. Third party tests have proved that equipping an entrance with Coral that has six metres walking depth can keep up to 94% of all walked in dirt and moisture out of a building. In addition, Forbo’s Coral can reduce cleaning costs by up to 65% and prolong the life of interior floor finishes and coverings, as well as greatly reducing the potential for slipping. Forbo’s Step safety vinyl ranges can be used wherever people work, learn, play or go about their daily routine, where slip resistance is a key consideration in the creation of a safe working, living and public environments. The Step portfolio now includes a wet room solution, for both floors and walls. Safety vinyl flooring with a guaranteed lifetime slip resistant performance. Differentiated design with no compromise on performance. A collection which enables a range of slip resistance ratings to be used across co-ordinating colour schemes. Unique, attractive and comfortable solution for wet room applications. Innovative slip resistant particles, Step Crystals, which contribute to a clean and fresh design, easier cleaning and an improvement on our Life Cycle Assessment. We are the largest independent stockist of Forbo Flooring products in the U.K.
We hold stock of all the Marmoleum ranges. We have over 30 years experience dealing with Forbo products. We have knowledgeable and helpful staff. We stock Coral Entrance Matting. We give excellent project rates available on request. We have an excellent delivery service with our own drivers that know how to handle the products.